Check Rates & Availability at Econo Lodge Oxford! 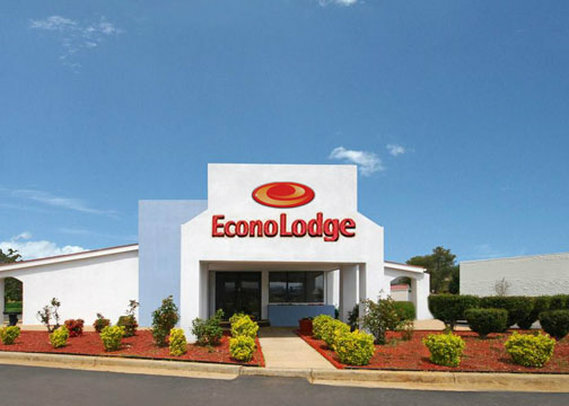 The award-winning Oxford, AL Econo Lodge hotel is an easy stop off the road where you can find a great place to stay. We are located off Interstate 20 near Cheaha State Park, Berman Museum of World History, Anniston Army Depot, Civilian Marksmanship Program and Oxford Park and Recreation. Amenities include free hot breakfast, free WiFi, free access to a gym, a seasonal outdoor pool and sucndeck. We invite you to relax in our spacious guest room and enjoy amenities like HDTVs, refrigerators, microwaves, hair dryers, coffee makers and massage shower heads. Earn rewards with every stay with our Choice Privileges Rewards program.